We are an inshore fishing and hunting guide service in the Outerbanks of NC. 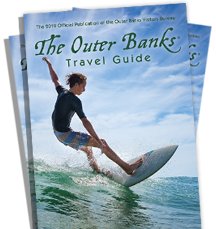 We would like to make your vacation memorable by letting you enjoy all that the beautiful Outerbanks has to offer. We can take you fishing, clamming, flounder gigging, bird watching, site seeing, picnicing, or even a romantic moon lite cruise. Call to tailor a trip just for you.